Dean has been working in the Financial Services industry for the past 12 years. He is working at the intersection of business, technology, and innovation. He is a Digital Transformation and Innovation Leader and Blockchain evangelist. Dean believes that the only sustainable way into the future is to have an integrated approach between business strategy, creativity, and technology! Dean earned his MA in Applied Imagination in Creative Industries from the Central Saint Martins, University of the Arts London – which enriched and broadened his engineering background immensely. He is the author of “Rolling Concepts in Design Thinking”, a method which triggers creative thinking and increases the scope of generated solutions in Design Thinking and Innovation. 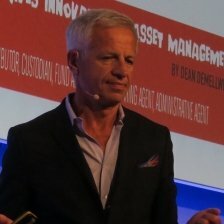 He is also a co-author of WelthTECH book – ‘How Blockchain drives innovation in Asset Management’.